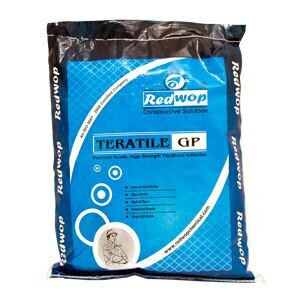 TERATILE GP Advantages: Non-shrink and waterproof Can be used for areas subjected to totally submerged conditions and internal applications Workable with open wet time of 20 mins. at 300C Good slip resistance. High adhesive bond strength. Early strength gain enables quick installation.